Congratulations on making one of the biggest decisions in your life, and most importantly, deciding to create a beyoutiful beginning! Deciding to get married is a big step; this is your day, and you deserve to have it exactly the way you have always dreamt it to be. 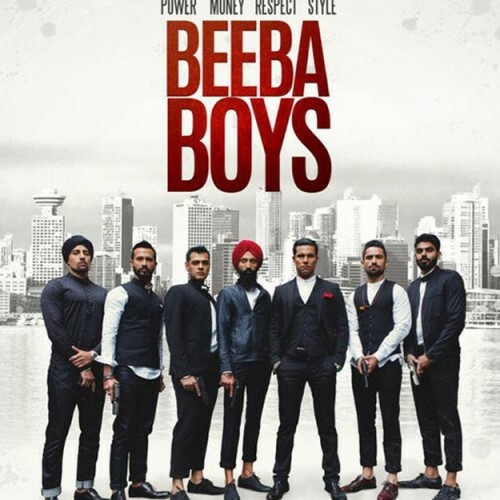 Experienced in multicultural, known as fused weddings, Beyoutiful Beginnings caters to every type of couple, allowing you to see your vision come to life with a touch of modern flare. Our goal is to make your planning process stress-free, and most importantly, to give you peace of mind knowing that your wedding is in good hands. 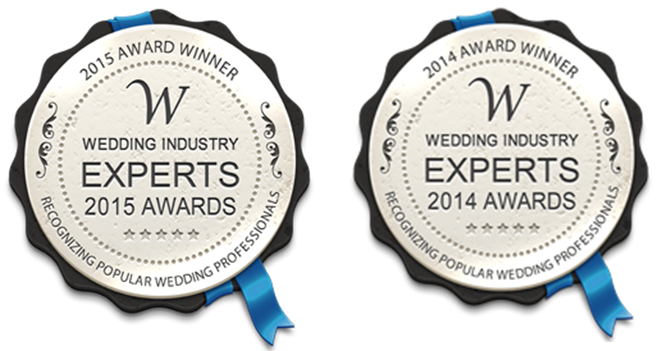 The Wedding Industry Experts 2015 results are in. 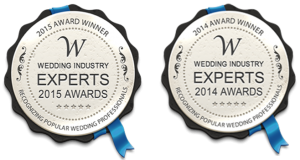 We are happy to announce that Beyoutiful Beginnings was voted as one of the Most Popular Wedding Planners in Toronto! There are so many small details in a wedding. It’s easy to dream big, but it’s actually hard to visualize how this will all happen. By sitting down with you and listening to what you want, we can help you bring these little details to life through storyboarding. Planning a wedding can be extremely stressful, especially with many voices involved. As certified professionals, we step in as the neutral, go to person and take away the tedious tasks and responsibilities from your family. All you have to worry about is showing up and enjoying your day! We have already done the research, networked with reliable, quality vendors, and have already come up with creative ways to help you save money on your big day. 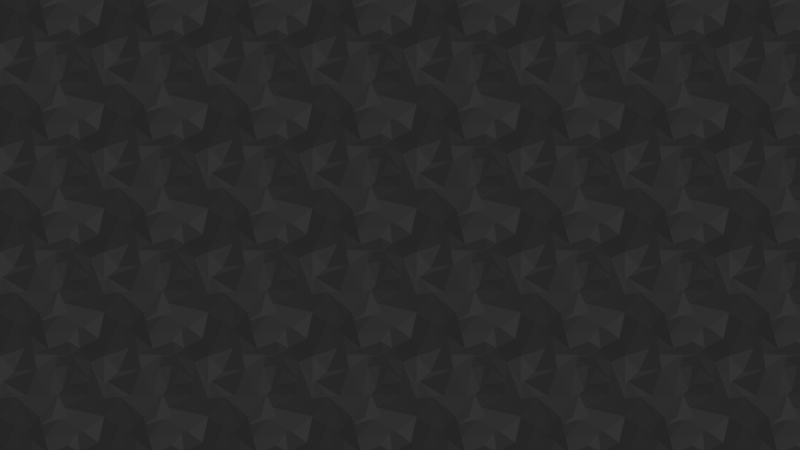 We understand the rules of the game. It’s about making you and your family happy! 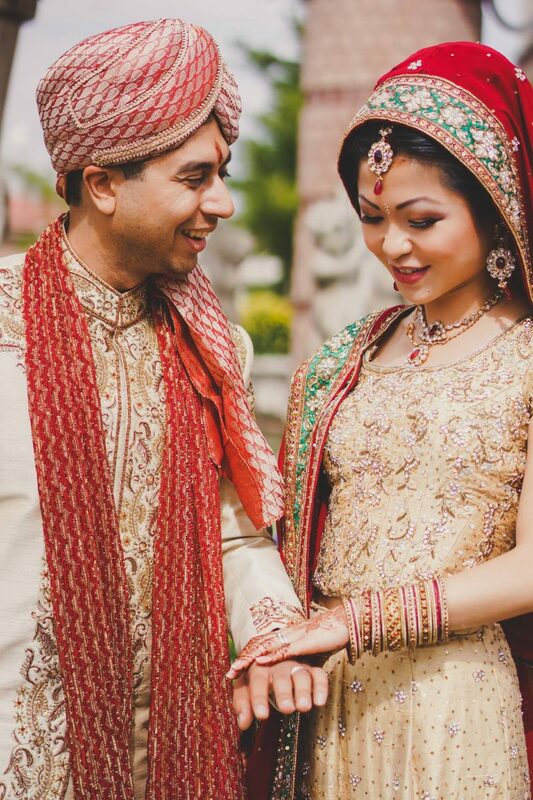 Slonee and Sahib’s double ceremony, outdoor wedding was one that took everyone’s breath away. They each had their own ceremony catered to their customs and religions in a gazebo that overlooked the lake, simply beyoutiful! Guests partied the night away at their modern chic reception featuring a stunning candle wall that really set the tone for the night. 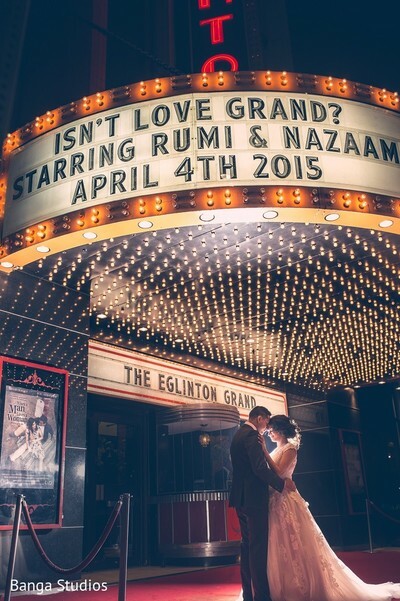 Rumi & Nazaam’s wedding was truly one of a kind. From their traditional Ismali ceremony to their modern day Old Hollywood themed reception, guests were wowed throughout the entire day. 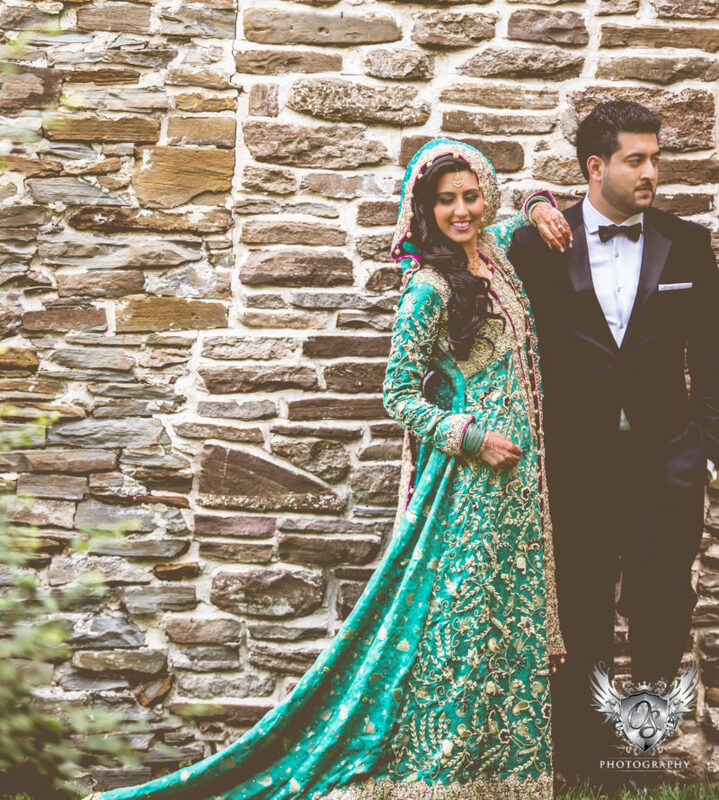 Rumi and Nazaam wanted an intimate wedding with a romantic feel – and that is just what they got. The room was filled with candles and flowers bringing their vision to life, while the guests were entertained with live performances and black and white movies. Kelly and Steven said their I do’s at the top of the Berkeley church and left their guests in awe as they danced the night away at the romantic and whimsical reception. 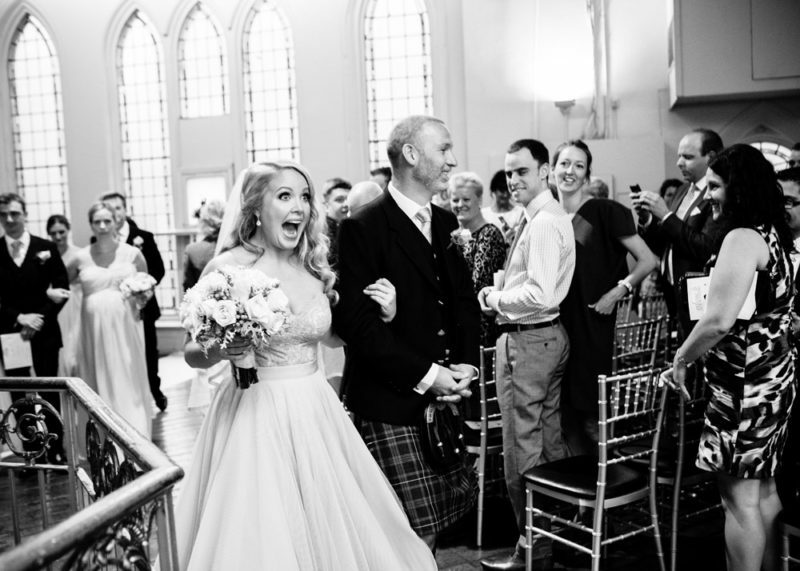 Guests were delighted with a live bag pipe player that truly made a statement. Kelly and Steven’s personal touches to this wedding are what truly made it special and unique. Kara & Sean’s wedding was one that truly represented the coming together of two families. 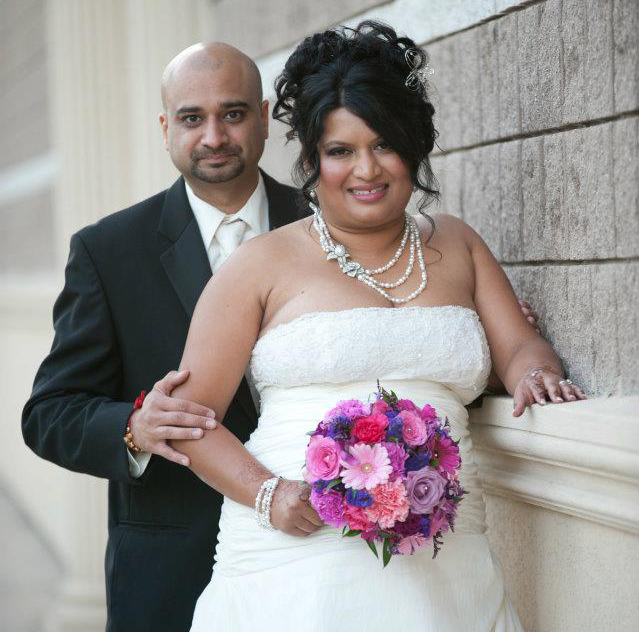 Kara’s entire family flew down from California for their Hindu ceremony and reception. It was amazing to see the families partake in customs and traditions without hesitation. Kara looked absolutely stunning in her lengha and then transformed into a princess for the night! 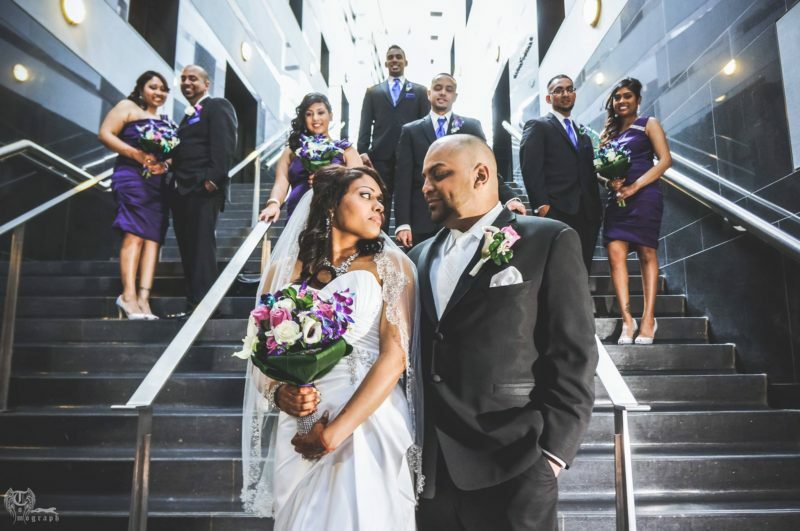 Amena & Sherry’s 2 week long wedding was simply breathtaking. 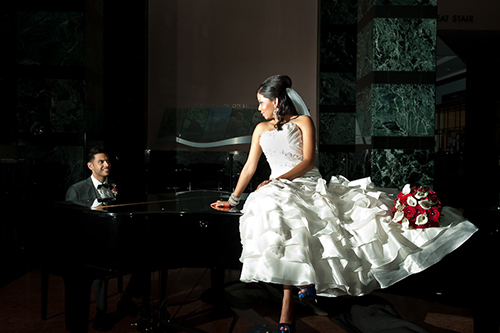 Each event had its own personalized theme that represented both Amena and Sherry individually, as well as a couple. Their traditional Nikkah ceremony touched the hearts of every guest, and their colourful mendhi left guests dancing the night away! This wedding was definitely a hit! From the vibrant bharat to the elegant crystal garden themed reception, to the live steel pan player, this wedding was one that guests will never forget. Combining both elements from the East and West Hindu customs, Shaena and Nitin created a memory that will last a lifetime. 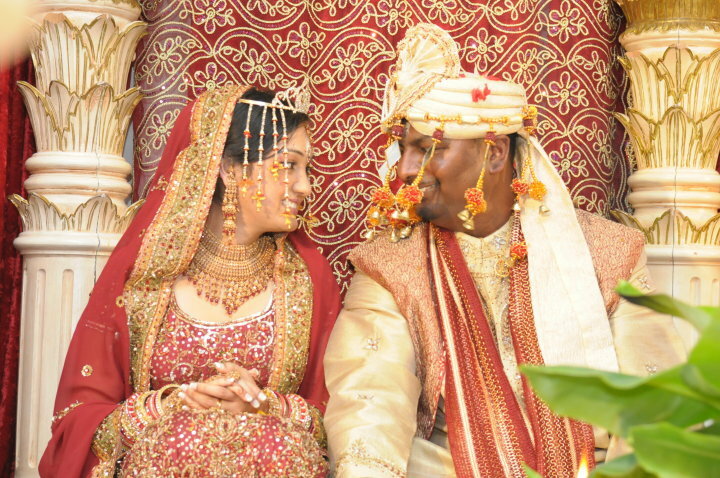 This beautiful two-day wedding featured a traditional Hindu ceremony and a unique reception that featured a variety of love story quotes throughout the entire set up. From the candy station to the hot chocolate station, to the amazing performances, their gorgeous royalty themed wedding blew guests out of their seats! Violet & Daniel were an amazing couple to work with. This DIY wedding completely represented the couple. Their traditional ceremony intertwined elements of the Hungarian and Filipino cultures to represent both customs. This wedding combined elements that represented both of the couples beliefs and customs from the Catholic and Hindu traditions. With Meaghan being Catholic and Shaun being Hindu, it was amazing to see this couple, along with their families come together and adapt both the East and West cultures. They definitely made our day perfect! When anyone asks about tips for having a successful enjoyable wedding, my first response is always to contact Beyoutiful Beginnings. Amanda & Adam’s creative ceremony featured a sand ceremony, in which they scripted the entire thing themselves. 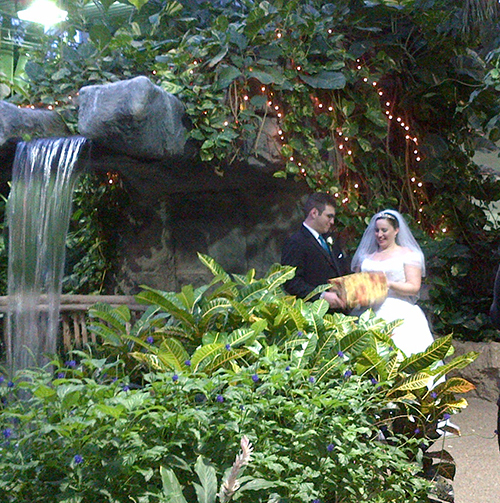 Taking place at the Butterfly Conservatory, the couple said their “I do’s” in the rain forest and ended with a butterfly release. How romantic! We couldn’t possibly thank you enough for all the hard work you put in for us leading up to the wedding. When we called you practically panicking one month away from our wedding we were putting all our faith, hopes and dreams in your very capable hands. We tossed the mess we made of trying to plan our own wedding into your lap and you turned it into something beautiful and beyond our imaginations. Thank you for keeping us on track, for taking charge of the decorations and for keeping an eye on the pulse of the whole affair. Thank you especially for not letting us stress on our very special day. You really did make it a unique celebration, which is what we hoped for. We will be recommending you highly! Aalia & Shafraz are a couple that truly touched my heart. In a matter of 3 months, we managed to plan a 5 day wedding celebration! 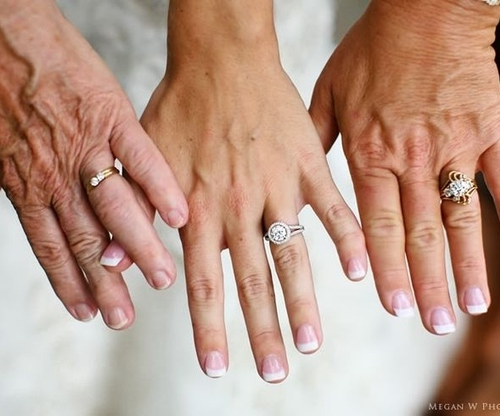 What was so special about this wedding was the fact that it was all about family. Both sides of the family came together, and you could actually see and feel the love throughout the entire week. Seeing these two smile at their reception showed me what true love really is, and at that point, I knew the couple was extremely happy with the way everything turned out. Taking place at Apollo Convention Centre in July 2012, this wedding featured beautiful silver branch-filled centerpieces (created by the Bride and I) to go along with their glamour and glitz ambience. 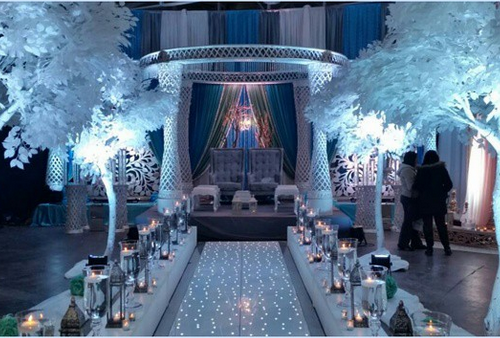 Every traditional element of an Ismaili wedding was incorporated in to each of the 5 days…even in their reception, where the entire bridal party wore Western clothing, but still performed their traditional cultural ceremonies. 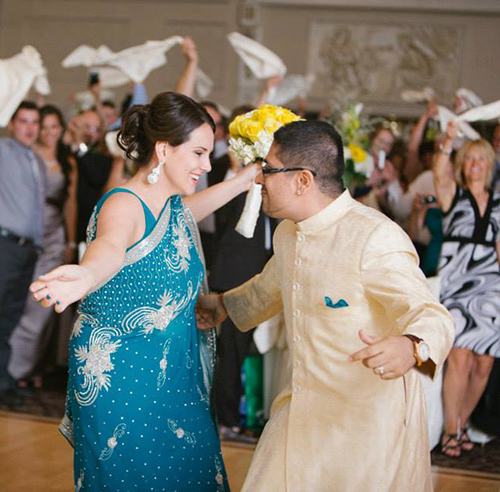 Sim & Shannon’s wedding was filled with masala, mendhi, and masti! This wedding featured a modern garden theme filled with hues of blues and greens. Guests partied the night away and were entertained with the amazing fire breathing performance by Terrance Drake! 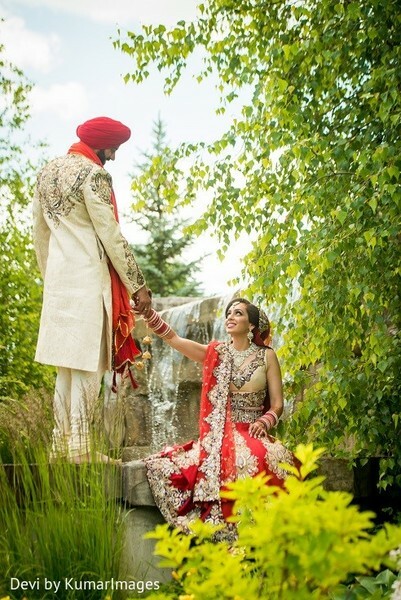 Sabita and Shawn’s Wedding featured a traditional Sikh ceremony. Their out-of-the-box reception was a mixture of Old Hollywood and a Phantom of the Opera theme. 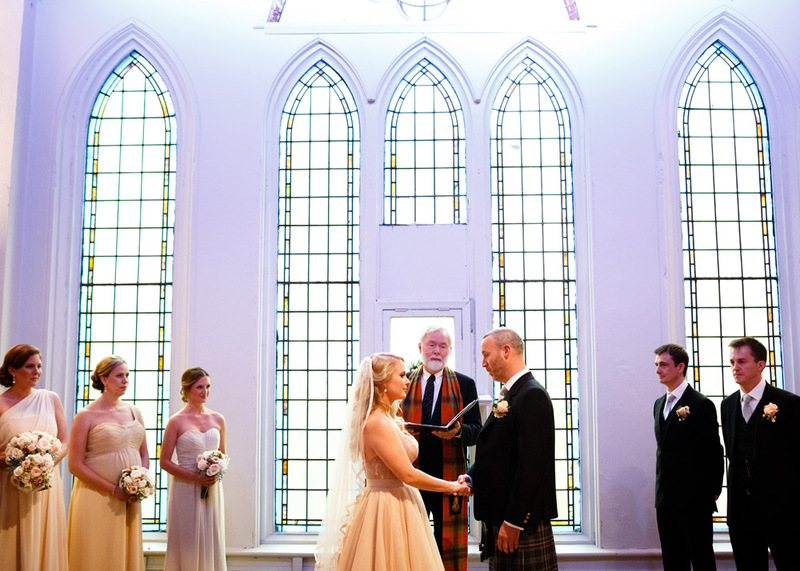 This wedding was breathtaking and left guests in awe! Carmin & Bik had a traditional Sikh ceremony. 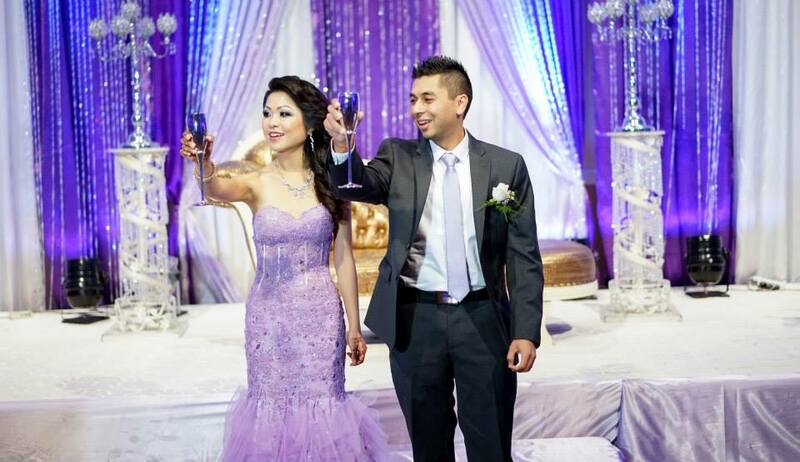 Their reception featured an elegant, classy theme, filled with hues of purple. Guests were moved by the entertainment and setup, and loved the room filled with love and laughter! I hired Susan Ramroop based on her confidence, approachability, smile, high level of energy and her willingness to go the extra mile. I was very nervous with having 500 guests attending our reception but once I hired Susan the nervousness subsided. Susan was hired for various tasks such as ensuring that the venue was arranged to my specifications prior to guests arriving, greeting the guests and helping them locate their tables, setting up my speciality cocktail table, ensuring that the entertainment was on schedule, setting up my “necessity kits” for the restrooms as well as paying various vendors on our behalf. I did notice Susan throughout the night tending to various items. If I had to pick one thing that stood out the most about Susan, it would be that she took charge and went above and beyond the call of duty for this very important day. Thank you Susan for an amazing job! Shelley & Neville were our very first official clients! With their traditional Hindu ceremony and vibrant reception, they set the bar high as the start of Beyoutiful Beginnings! Susan was responsible for coordinating all wedding logistics on the day of our wedding and reception. Unfortunately we did not find her while we were in the planning process otherwise we would have hired her from the beginning! Her checklists, her wedding book and all the other Beyoutiful Beginning resources she provided me with were definitely helpful in reducing my stress and making our day run smoothly. The day could not be more magical then what it turned out to be. Given that we had a Hindu wedding, there were a lot of things that needed to be taken care of on the day of the event and Susan did everything for us – my family and I were able to focus on my wedding rather than the logistical aspects of it – what a relief! Susan thought about everything; she was always 2 steps ahead of us, thinking outside of the box. She made signs at the hall that directed our guests to the right spot (the hall we got married in was under construction so guests may have gotten a bit confused as to where to go – thankfully Susan checked out the hall 2 hours before the wedding and was able to anticipate this) Her emergency kit was undeniably the best thing she could have put together – she had everything in there from deodorant, to hair spray, to men’s hair gel (just to mention a few). On the reception day, she arrived at my house promptly at 10am to pick up all materials that needed to be arranged in the hall. Her and her team did an amazing job ­and my bridal party didn’t have to do a thing when they arrived at 5pm. If there are 3 qualities that I can use to describe Susan, it’s: efficient, organized and committed. Everyone complimented us on how smooth the wedding went and I have no one else to credit except for Susan and her Beyoutiful Beginnings team. 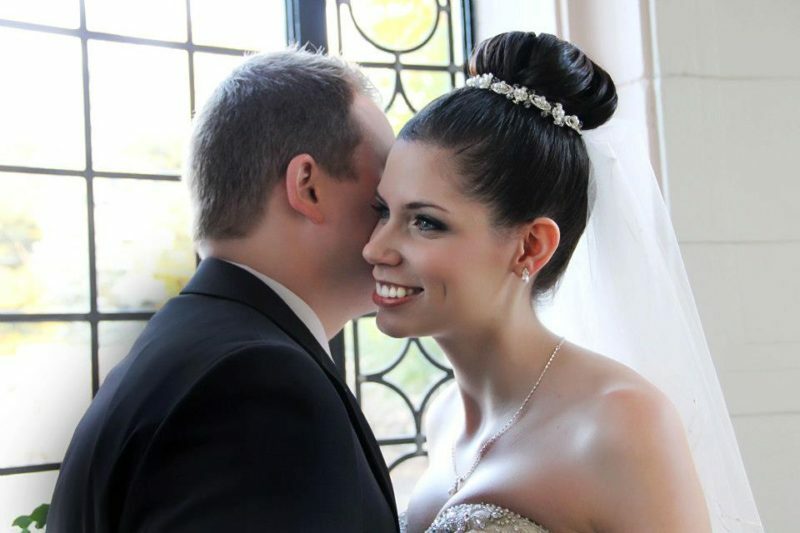 Beth & Nate’s gorgeous ceremony and reception took place at the famous Casa Loma. Their vintage theme left guests in awe as they partied the night away in this beautiful castle! 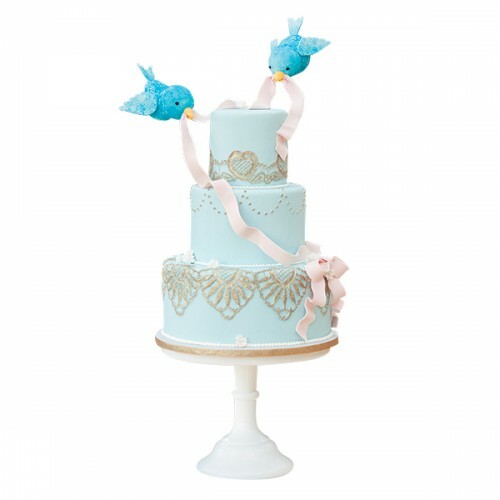 Need help with center pieces, setting up candy stations, or pre-wedding event décor? We can design and set up customized looks for any event! We bring a personal and effective approach to every wedding we work on.